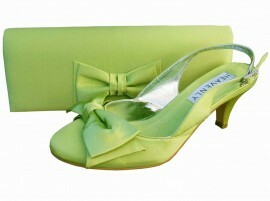 Elegant lime green satin boarded clutch bag. 26.5cm wide x 9.5cm tall. Small chain enclosed. Perfect match for the Twee shoes.